Leave a comment to vote for your favorite ;D. . Wallpaper and background images in the Dragon Ball Z club tagged: vegeta goku dragon ball z dragon ball z god ssj. Appearance-wise Goku, other than that, Vegeta. 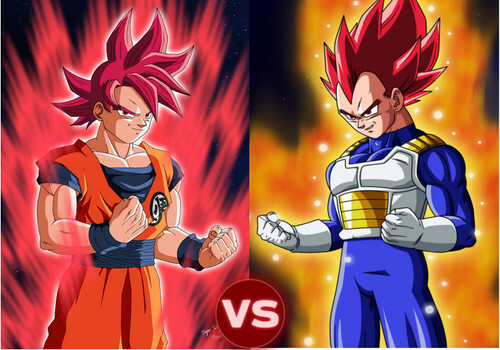 Vegeta with red hair is just off to me. they both look awesome that it's hard to choose. but i think I like how Goku looks better though i do love the orange Aura around Vegeta.